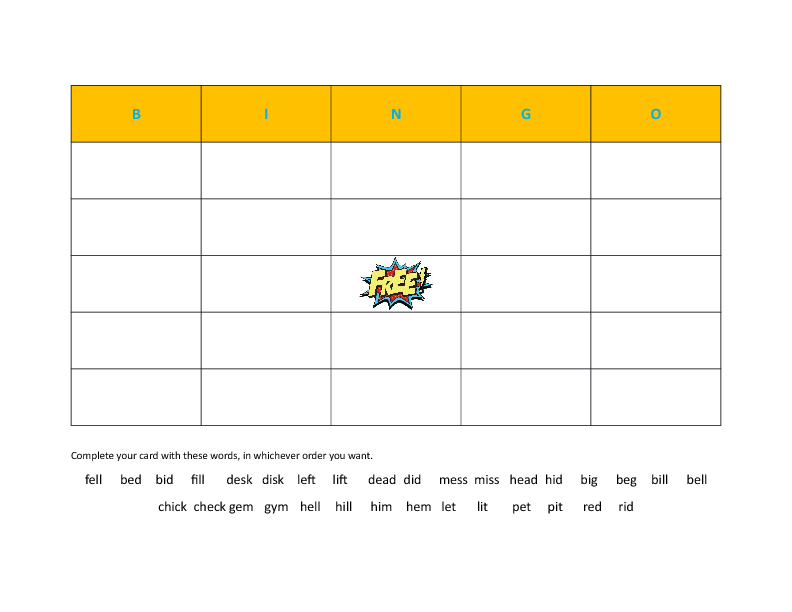 This is a bingo game to give students practice in differentiating between the short e and short i sounds (as in desk and disk). It can be modified to practice any sounds you are working on. 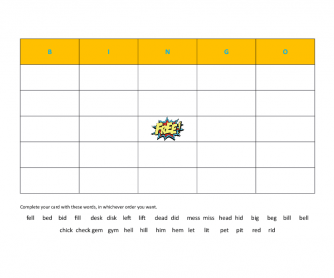 Ss fill in their bingo cards and the teacher calls out the words in random order. The first student to get a (valid) bingo wins! Make sure to check the winner's card.